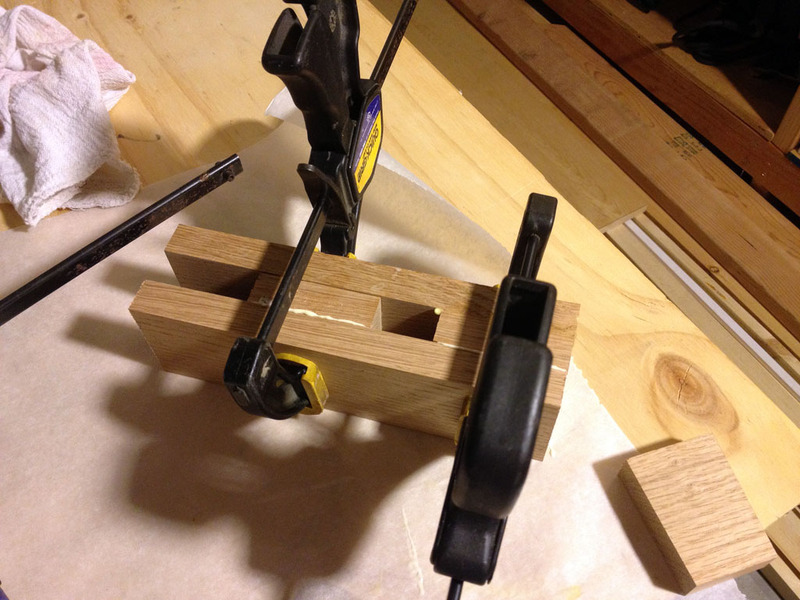 I had to stay home with my sick son on Friday so while he was taking a nap I was able to finally start on my Wood Working for Mere Mortals woodworking mallet. 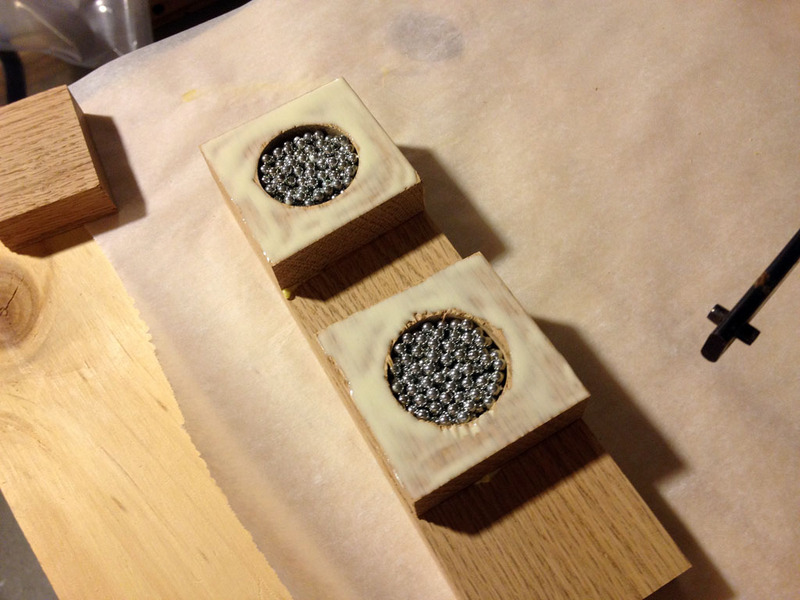 I bought enough material to make 2 mallets so the first one is pretty much going to be just like the one Steve made in his video and the second one will be more personalized to my style. It all depends on what I learn while making the fist one. I bought 2 – 1x2x2’s and 2 – 1x3x2’s. 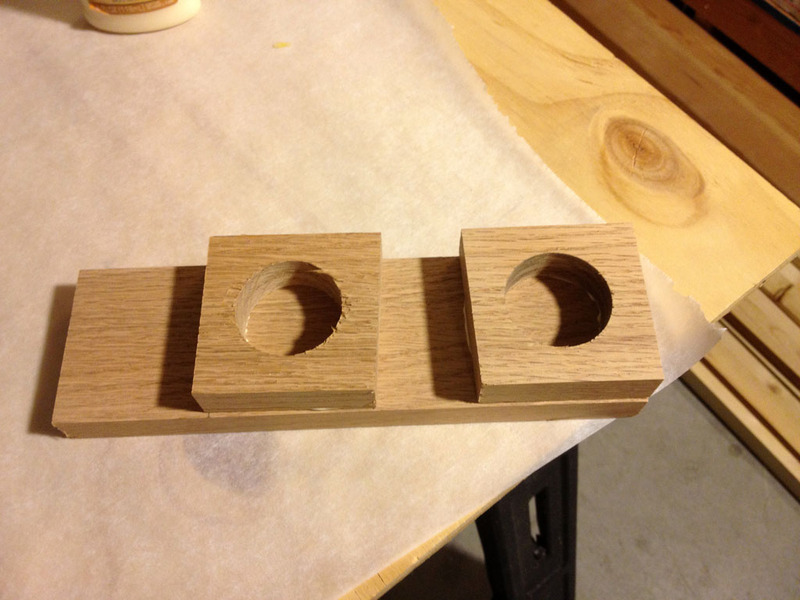 1 each in maple and 1 each in Oak. 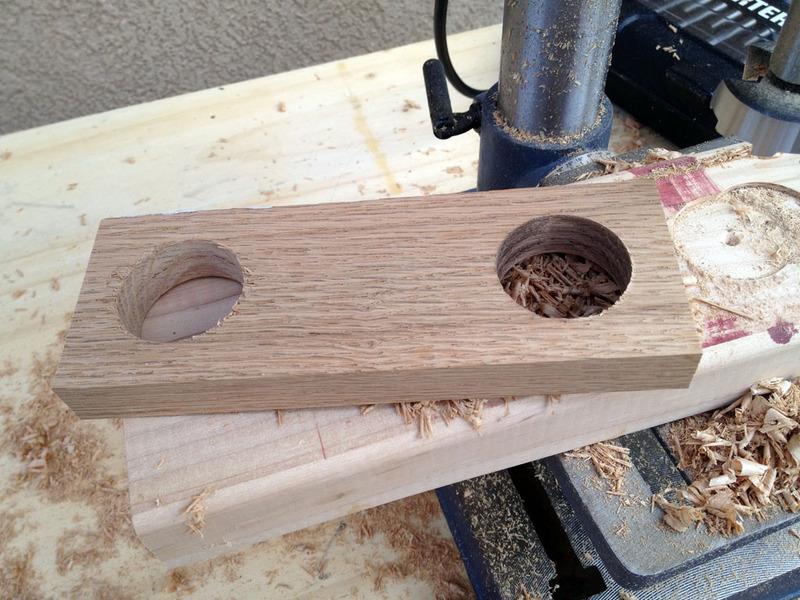 The first mallet I am making is with an Oak head and Maple handle. The second will be reversed. This will also be my first project not involving Pine. 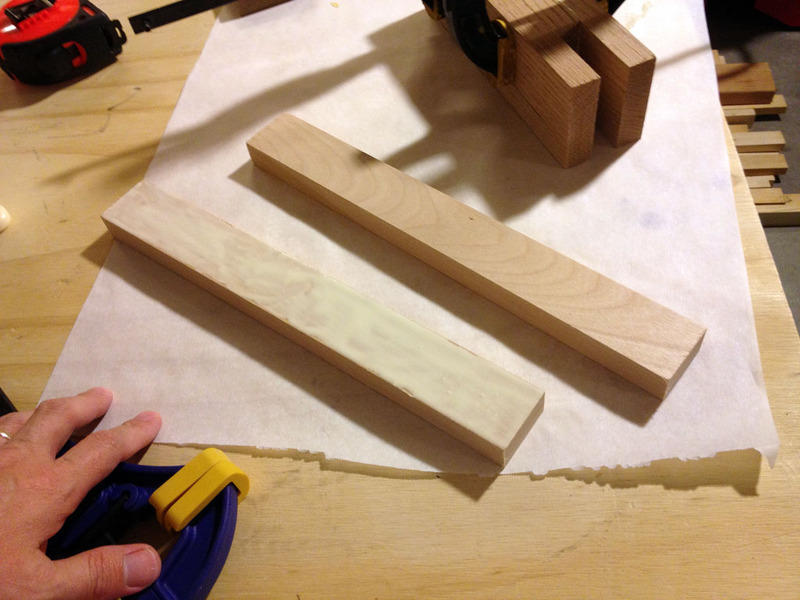 I started by cutting the maple 1x2x2 in half to glue together to make the handle. 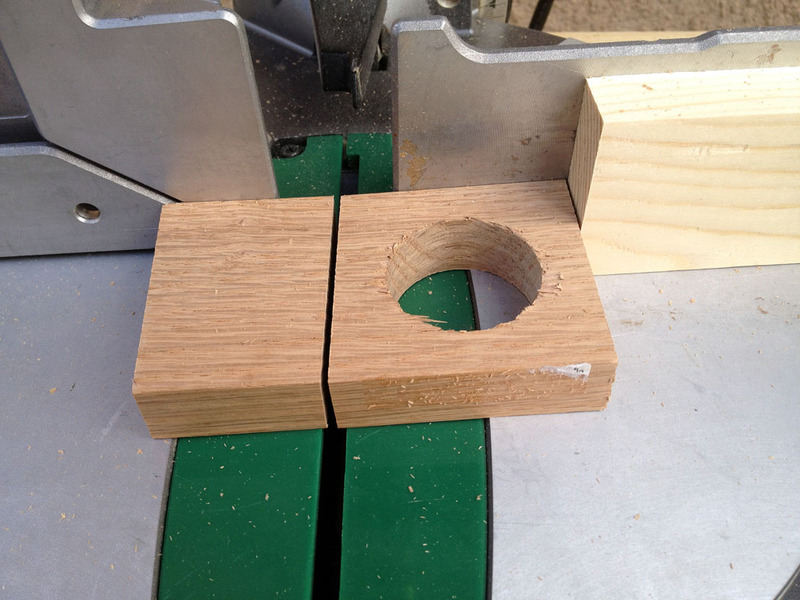 I cut the oak 1x3x2 into 3 pieces. 2 at about 8 inches and 1 at about 6 inches. 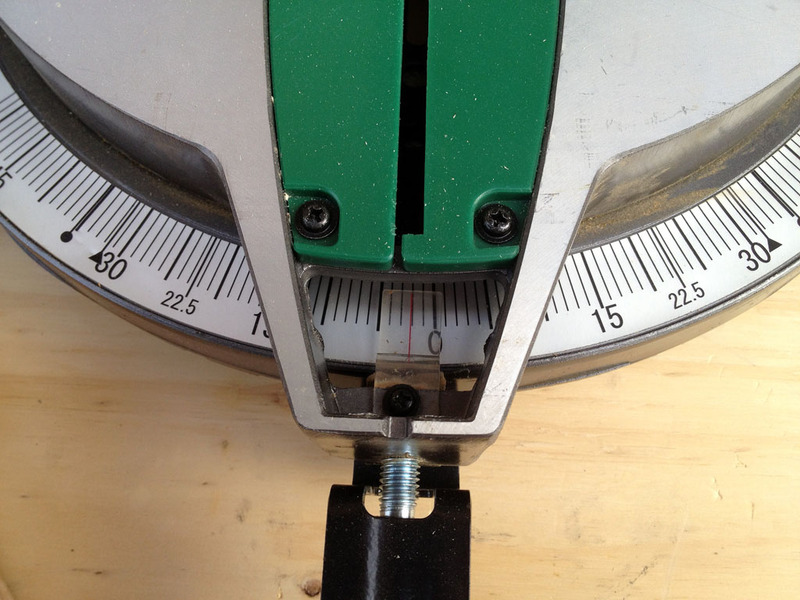 I took the 6 inch piece and measured in 2 inches and marked the center. 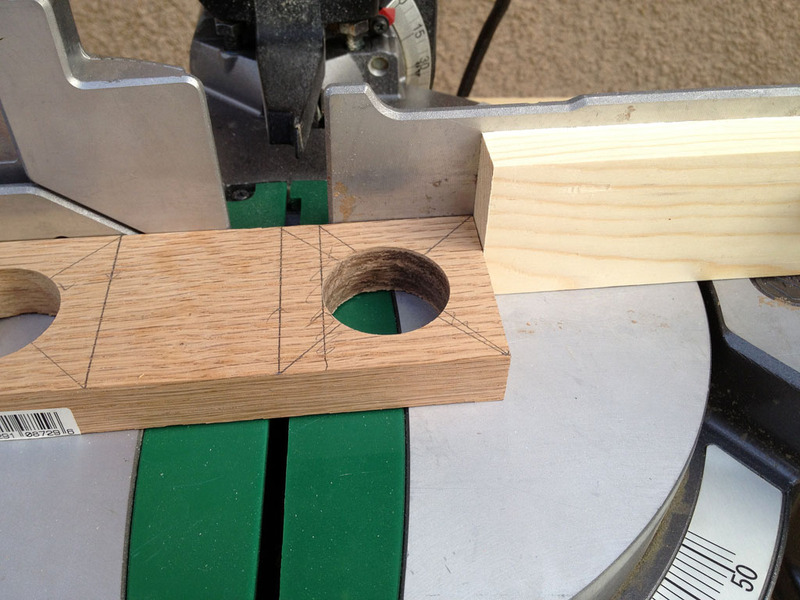 I then realized that the board was 2 1/2 inches wide so I remeasured to 2 1/2 inches and re-marked the center. 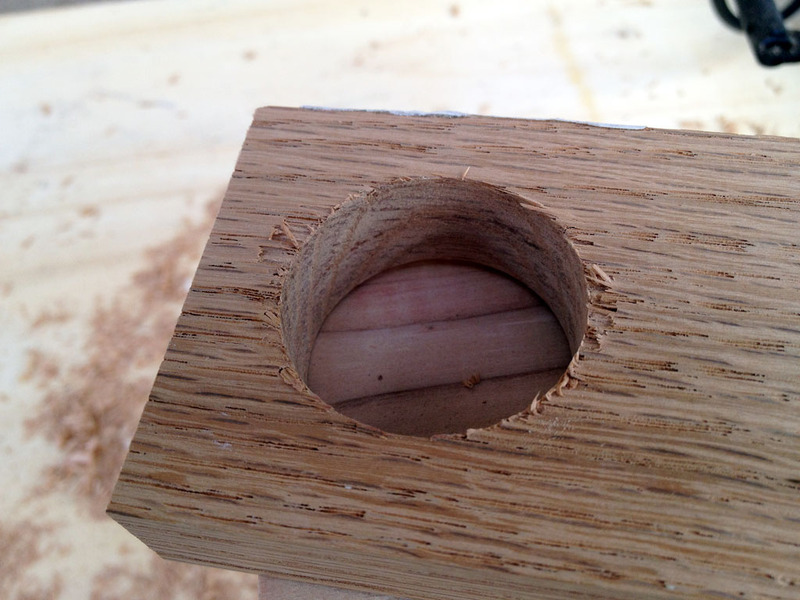 I made a 1 1/2 inch hole to be able to add some weight to the mallet. It turns out that speed really does matter. 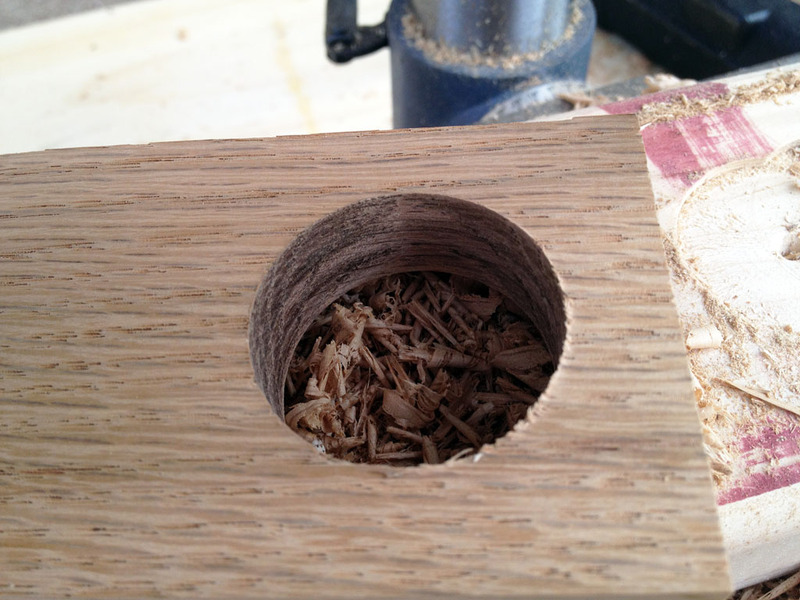 The drill press came setup at the max speed of 3100 RPM. 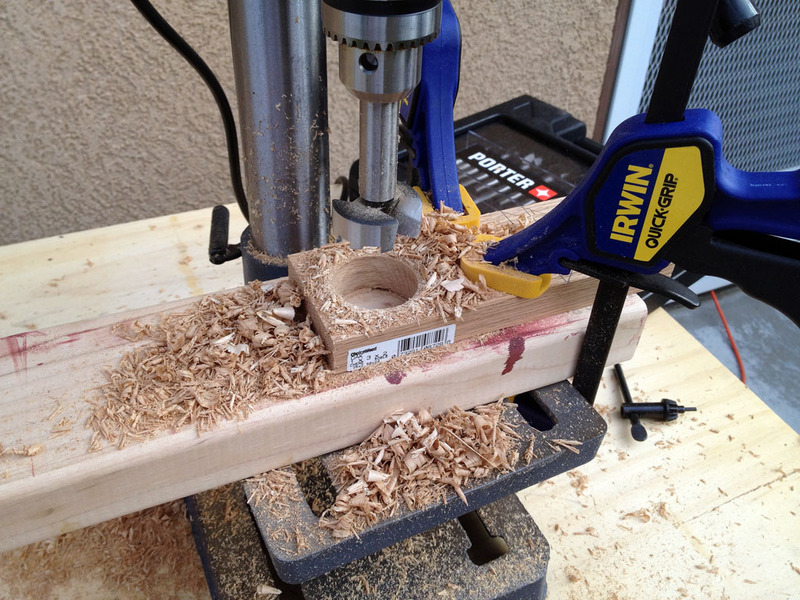 I changed it to the middle setting of 1720 when I assembled the drill press. and it also burned the wood some. 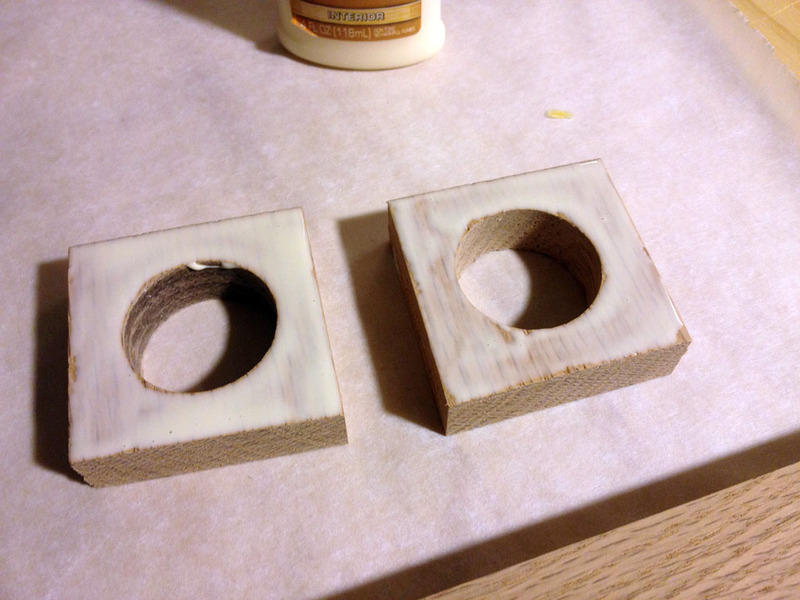 I adjusted the belts down to the lowest setting of 620 and drilled the hole on the left with no issues. 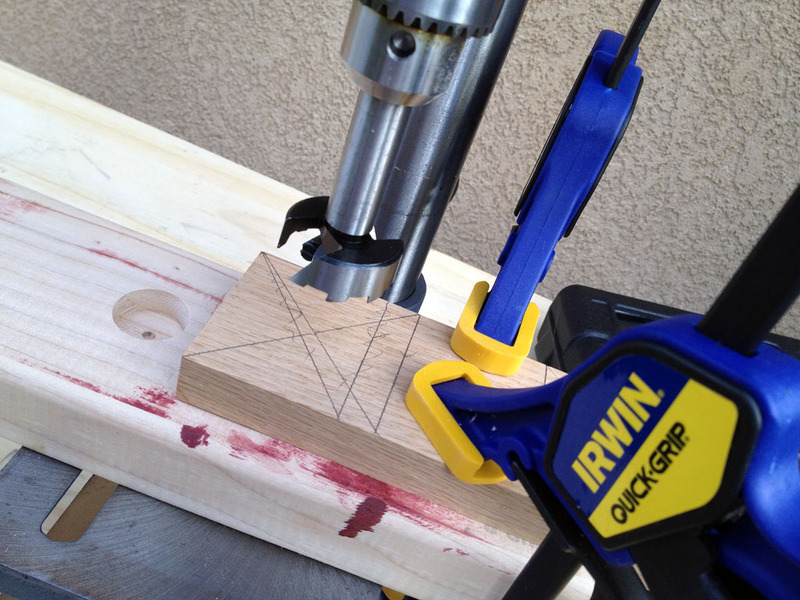 I set my mitre saw to 2 degrees to cut the inside of the wedge. 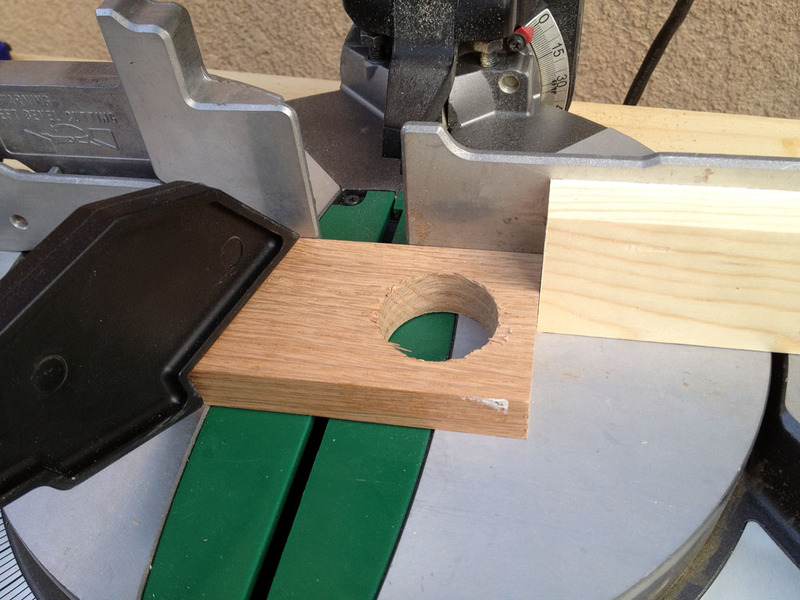 stick from my table saw to hold it in place when I cut it. 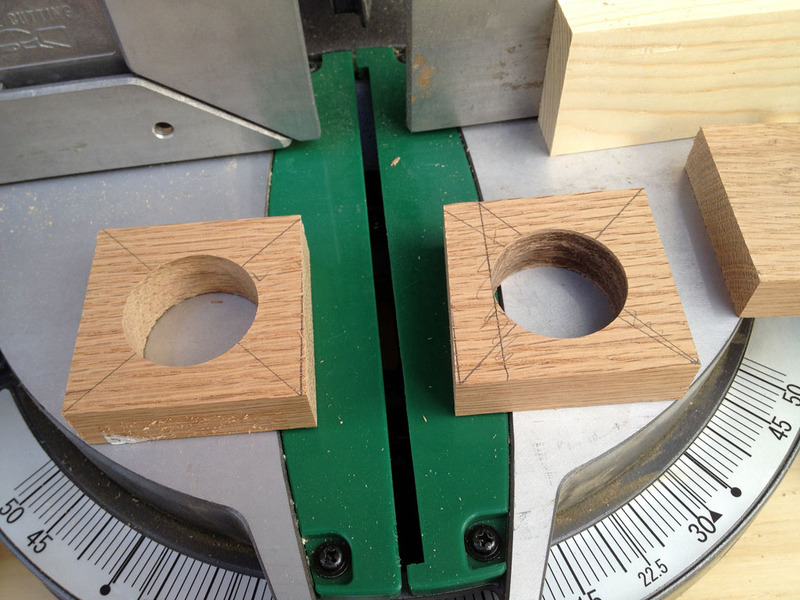 The wedge is where the handle will go with the narrow part at the bottom and the wide part on top. 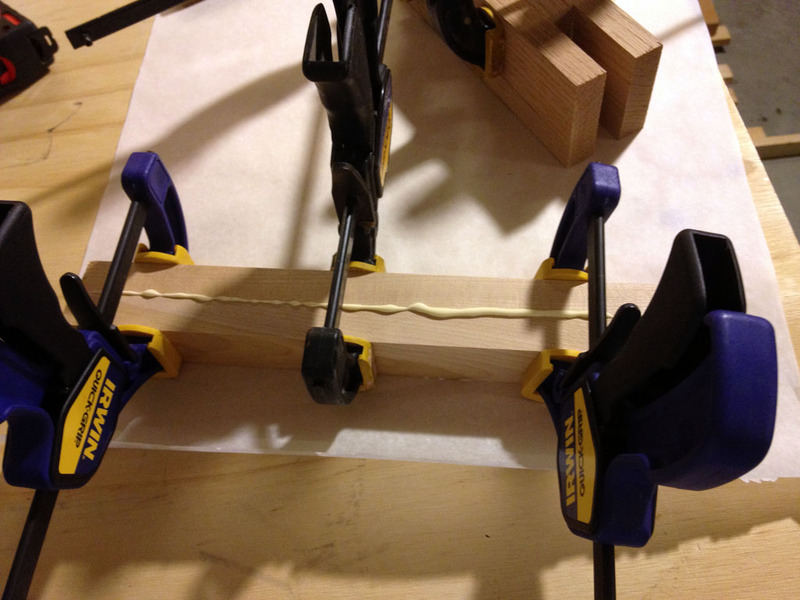 I am gluing one side to another 1×3 board. 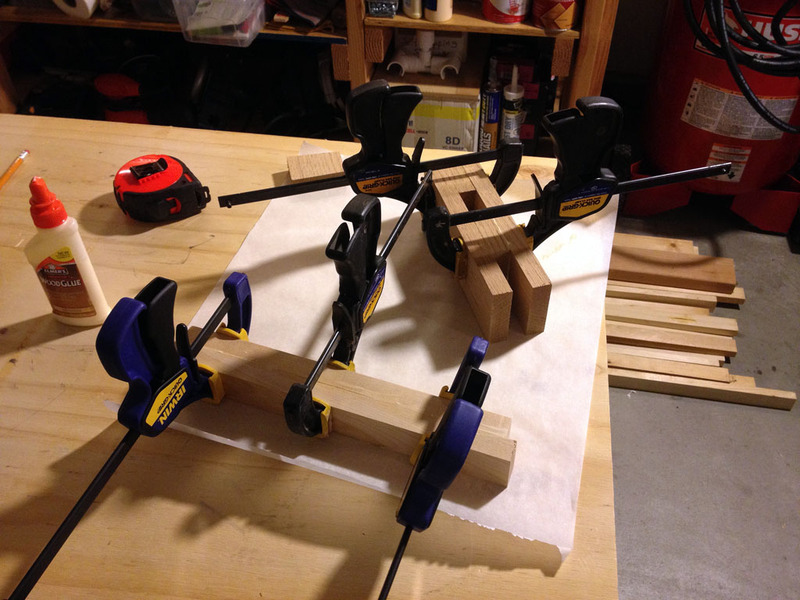 I am using the second board for clamping only. No glue. 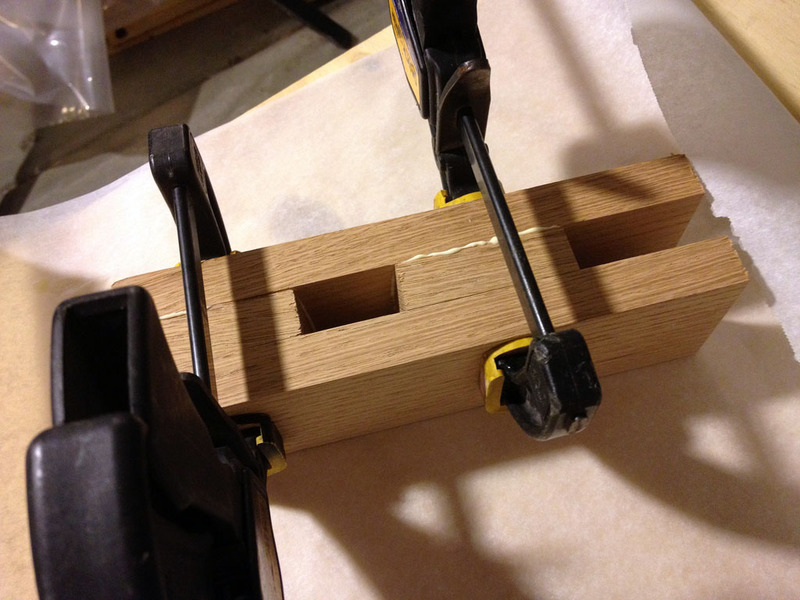 I am making the handle out of 2 1×2 pieces of maple glued together. 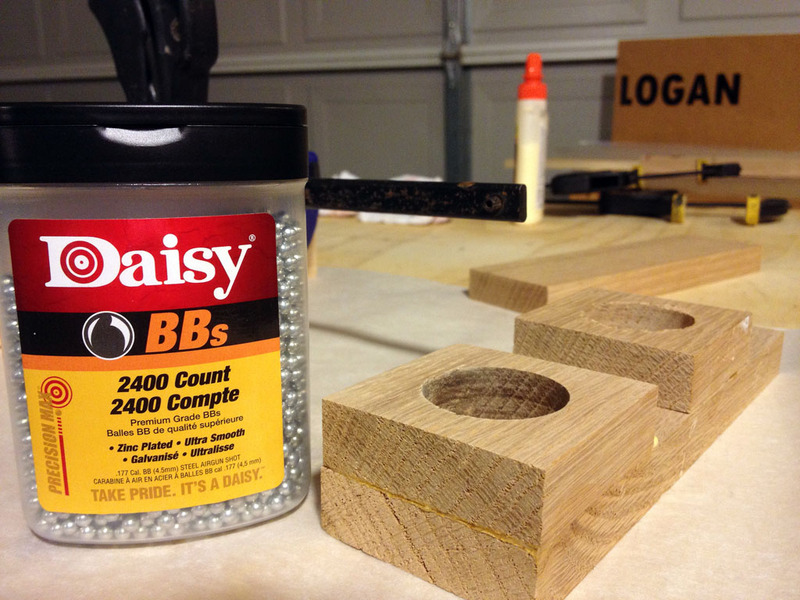 I let the glue dry for about 2 hours and then removed the clamps. 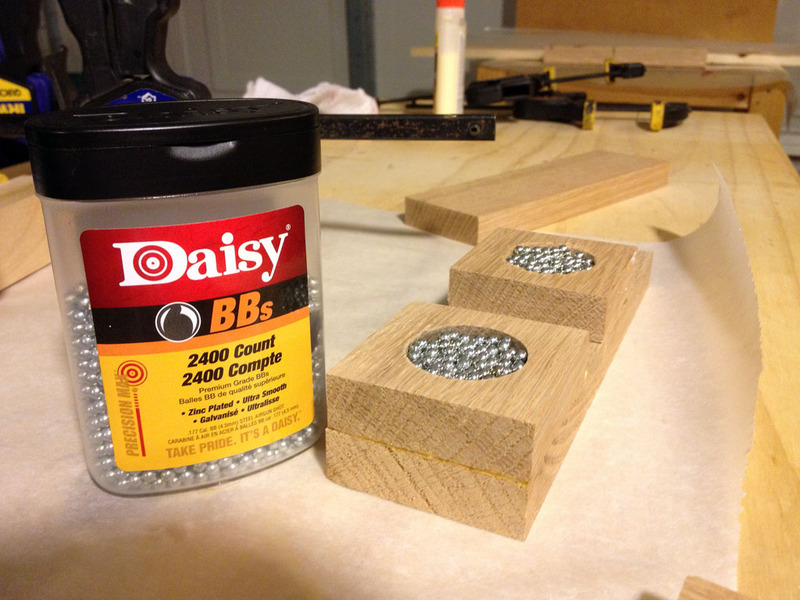 with this container of BBs. 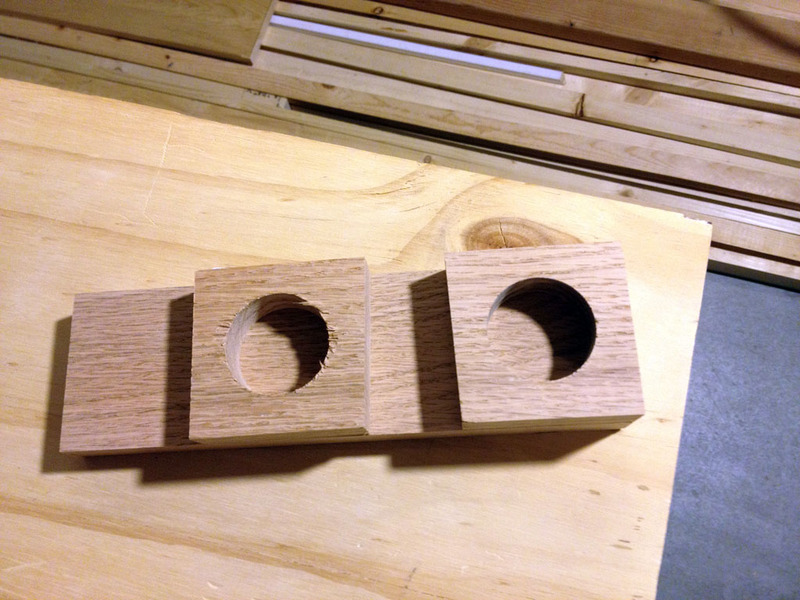 Now to glue the second piece on.